Your experience of Easter may include brightly colored eggs and enjoying a good meal, but Easter is about the death and resurrection of Jesus Christ. For some, Easter will be a great day spent with family and friends. But for others, it will be a difficult day, because Easter is a reminder of a loved one who has died and is now desperately missed. My wife and I both recently lost a brother so my heart resonates with those of you who will be remembering and missing a loved one. Death seems so cruel and so final. That is what the disciples must have been feeling when they saw their Lord hanging on the cross. They had left everything to follow Him and they simply did not comprehend that He would be crucified. Maybe at some point they thought back to the time when Jesus stood at the tomb of His close friend, Lazarus. In that moment, Jesus did something surprising. He wept. Humanity was not meant to grow old, to suffer with disease or to die. But because of the sin of Adam and Eve, sin entered the human race, and death followed with it. Death spread to all of us. Jesus wept because it broke His heart. However, standing at Lazarus’ tomb, Jesus delivered words filled with hope: “I am the resurrection and the life. He who believes in Me, though he may die, he shall live.” Death is not the end. The resurrection of Jesus Christ is the supreme proof. But I think of another group of people this Easter. A large number of people in fact. A group of people who have fathers/mothers, sons/daughters, grandchildren, aunts/uncles, and dear friends who are still living physically but the person they once knew, in many ways, has died. They are not the same person. They have been enslaved by drug addiction. They are no longer the person they once were. This death of the person you once knew may also seem final. You have exhausted all your efforts and resources but the drug enslaved person still lives. The path of addiction is certainly a cruel and devastating one that impacts the entire family. Unfortunately, for many it becomes final. People continue to die from drug overdoses every day. However, Easter reminds us that there is HOPE for the person who has been devastated by addiction and death! They can overcome! They can be made new! We will be reunited with our loved ones again! Praise the Lord!!! If you want to be encouraged by reading stories of living hope for those overcoming addiction, then follow us on Facebook. If you need someone to pray with you, please feel free to contact us. Isaiah House is a place of Real Hope for Addiction! It’s all because of Easter! If you and I put our faith in Christ, then Easter means we will live forever in the presence of God! Hallelujah! Addiction is a spiritual issue. Just like all other sin, it is a symptom, an outward expression of a much deeper issue. Because of this, we here at the Isaiah House believe that, in addition to clinical and life skills, Jesus Christ needs to be at the center of a recovering addict’s new life. 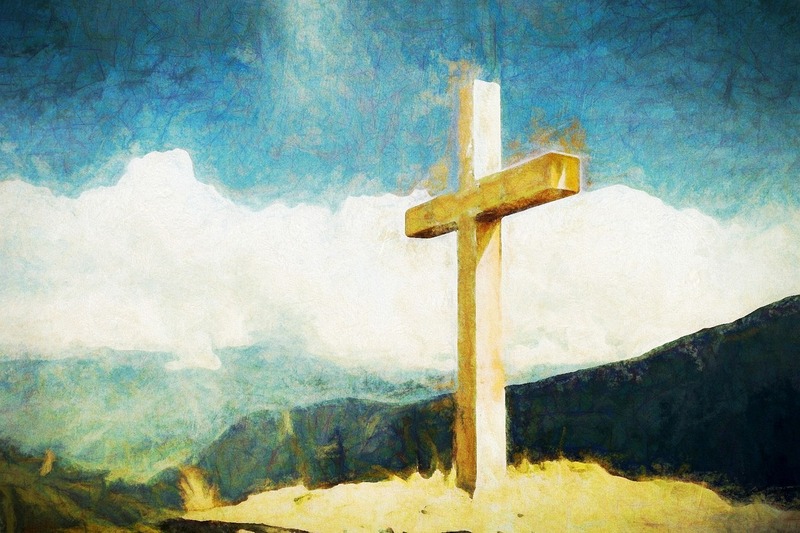 While we never force any of our clients to accept the Christian faith, the Gospel saturates every aspect of our program in an attempt to impart that “peace which passes all understanding.” All we can do as a staff is present the truth to those in our care and pray that it connects with their hearts. It is our earnest hope that all of our clients are saved through the power of Jesus name and ultimately baptized, cementing their inner change with an outward act. It is events like these that we celebrate more than any other, for “In the same way, I tell you, there is rejoicing in the presence of the angels of God over one sinner who repents” (Luke 15:10). 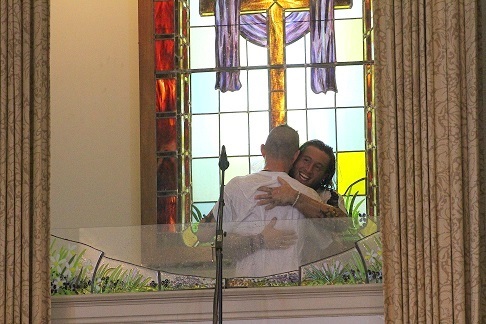 If the heavens rejoice over one sinner who repents, imagine the joy on March 4th when 23 Isaiah House clients and graduates were baptized at Danville First Christian Church. Public Relations Assistant Jordan Wilson had the honor and pleasure of immersing the new believers and he says it was an experience he will never forget. “I just couldn’t believe that I was in that situation, fulfilling that opportunity. It reminded me of Ephesians 3 where is says ‘Now to him who is able to do immeasurably more than all we ask or imagine…’ because just a few years ago I never would have dreamed that God could put me in that place. It was an incredible blessing,” said Wilson. Jordan Is celebrating 2 years clean today, March 28th, 2018, so he can relate to what the men in the program are dealing with. 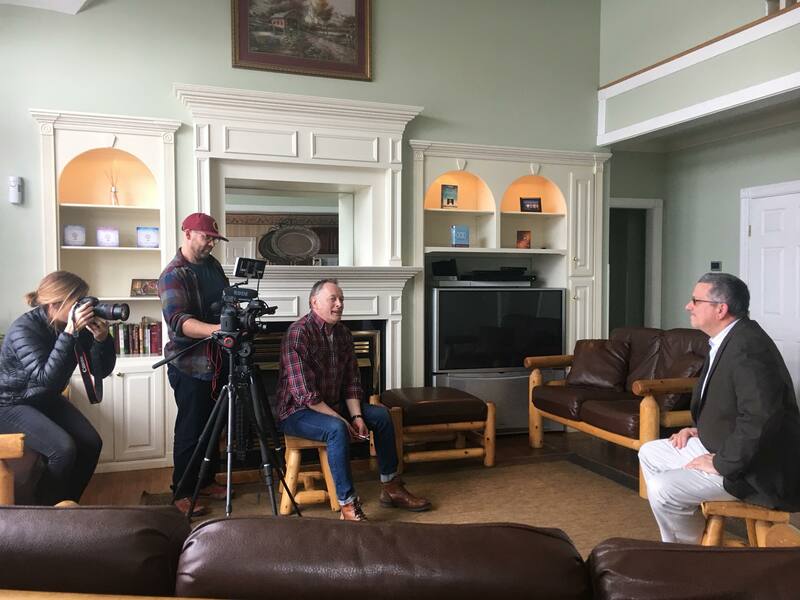 We are so thankful to Danville First Christian and Pastor Joey Pusateri for hosting the baptism that day and focusing the service around recovery and The Isaiah House. To watch the Baptism service, click here. Pastor Pusateri will be the guest speaker at Isaiah House’s program graduation on April 7th and we encourage everyone to come and hear the wisdom he has to share with our men! 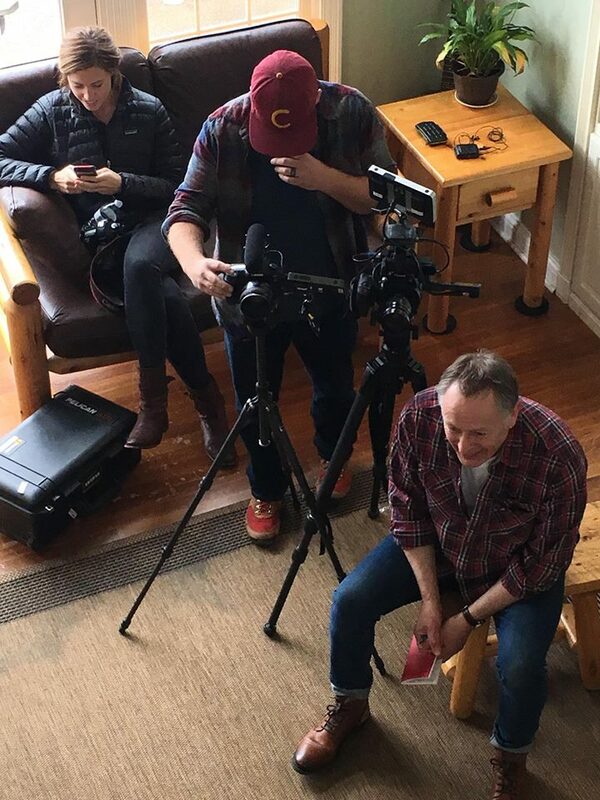 The Isaiah House was recently visited by a team of filmmakers to conduct a series of interviews with our staff and clients. The eventual goal is to get their documentary to television or Netflix, but before we can look ahead we first need to look back to 1973 when a Scottish woman made a breakthrough that would change hundreds of lives. Scottish physician Dr. Margaret Angus “Meg” Patterson, while working as surgeon-in-charge at Tung Wah Hospital in Hong Kong, learned about the use of electro acupuncture in addiction treatment by local researchers. Inspired by their work, “Dr. Meg” adopted the method, developing a technique called “neuro-electric therapy” (NET), replacing the acupuncture needles with electrodes. The NET device worked by electrically stimulating parts of the brain that were experiencing chemical imbalance caused by on-going drug use. By doing so, studies found that the severity of acute withdraw symptoms were reduced by 50-75%, cravings were substantially diminished and patients’ return to health were dramatically expedited. This seemed nothing short of a miracle. On returning to the UK Dr. Meg and her husband collaborated to popularize the technique, using it with great effect on a number of high profile rock stars including Eric Clapton and Pete Townshend of The Who. Needless to say, with endorsements like these, the treatment began to spread throughout the world. Fast forward roughly 30 years and the NET device has made the journey all the way to a little town in Kentucky and a Christ-centered rehabilitation center called the Isaiah House. 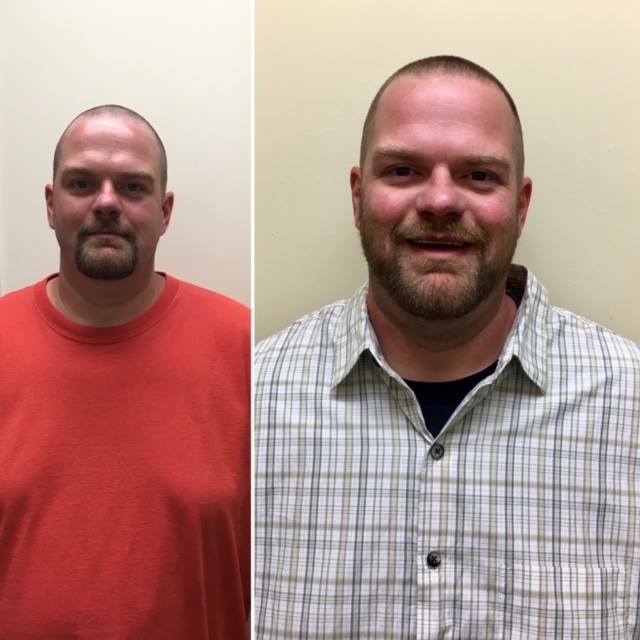 The Isaiah House’s clients used the device to great effect just like so many others before them— their detox symptoms were attenuated, the cravings waned and suddenly, getting clean wasn’t so scary in the Bluegrass. The Isaiah House used the device up to 2016 with hundreds of success stories. It was around that time however, that the NET program as a whole ran low on funds causing it’s FDA clinical trial to come to a screeching halt. With the clinical trials on hold, the Isaiah House could no longer use the device as doing so would threaten it’s state licensure. At the time, the Isaiah House was the last treatment facility in the United States using NET and sadly, this device that had helped so many, seemed to have met it’s end. However, the death (temporary death) of the NET device is not the focus of this article. This article is about the attempt to resurrect it. Enter Scottish filmmaker Norman Stone. Stone is an acclaimed director and producer for the BBC and other networks and the winner of two BAFTA awards, an International Emmy, and the Prague D’or for Best Director. Back in the 70’s when the aforementioned rock stars were using NET, the device caught his attention. He decided to connect with some of those stars and began to document the treatment with other patients. Stone has hundreds hours of film from over the years chronicling the efficacy of NET, film for which he’s been looking for an outlet for long time. When he heard about the death of the program, Mr. Stone saw his chance. 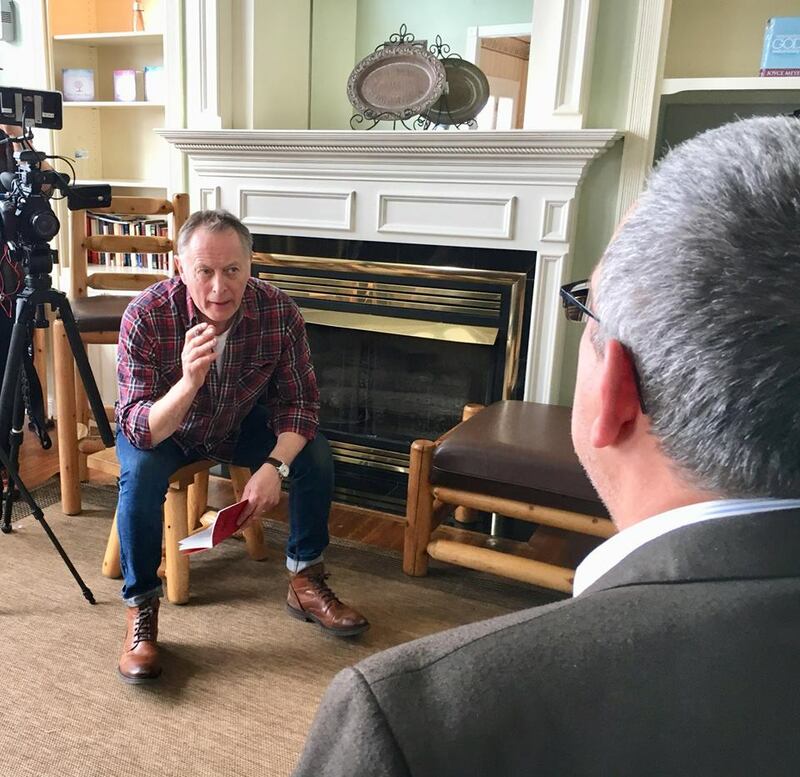 Norman Stone first came to the Isaiah House in the fall of 2017 with a dream—to make a documentary that would prove that the NET device is a revolution in substance abuse treatment and bring the funding needed to resurrect it. He knew that Isaiah House was one of the only treatment centers in the world that stuck with NET to the bitter end and had used it effectively for years. That first meeting was just a feeler—were Isaiah House staff interested? Did this guy with the enchanting Scottish accent actually have the chops to pull this off? All sides left with the same answer to their question: yes. Finally, we come to the present day. David Cobb and Mark LaPalme received emails from Stone’s team a few weeks before a proposed visit to Isaiah House. The movie maker wanted to film on the property. 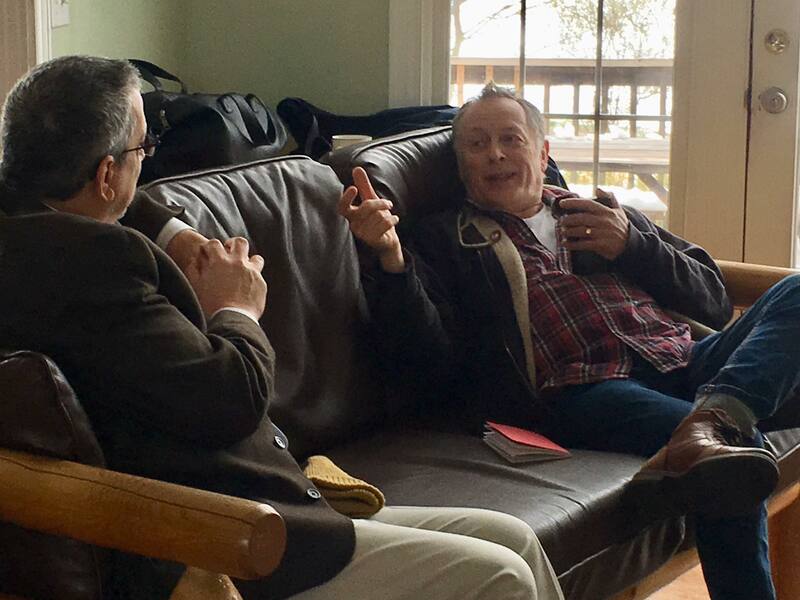 He wanted to speak to Mark, the man who had been there through the Isaiah House’s entire use of NET, to clients who had used the device, and the current leadership of the Isaiah House who are interested in seeing NET’s return. Stone and his production crew arrived early Tuesday morning and immediately got to work. The first one on the block was Mark, follower later by Vice President of Programs Kevin Horn, Public Relations assistant Jordan Wilson and another client from the Isaiah House’s distant past. 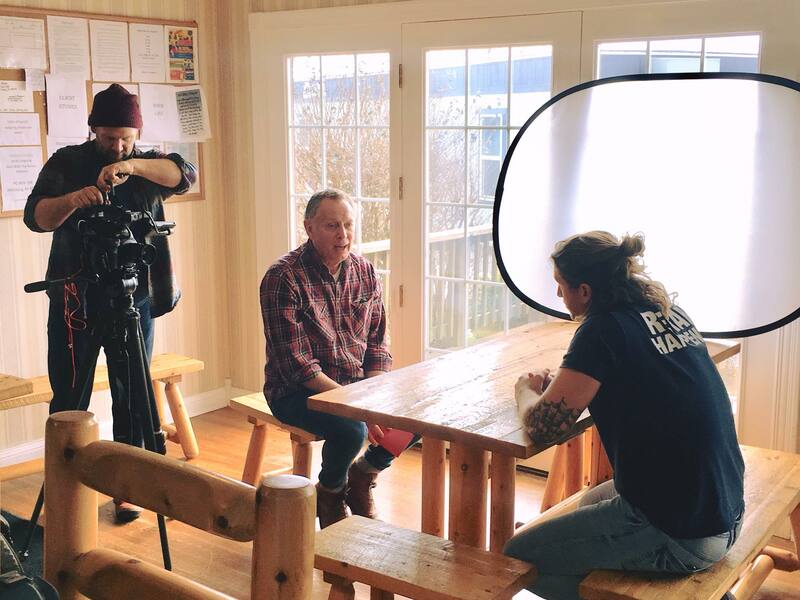 All told, Stone and co. were on campus from 10am to 6pm, doing interviews, shooting B-roll and making sure every shot was just right. It was a very exciting day for the quiet town of Willisburg. Norman would offer no guarantees about where or when the film would be released because he himself was unsure. The plan is to complete the project and then to shop it to various networks and, in the modern age, streaming services, until a compatible partner is found. 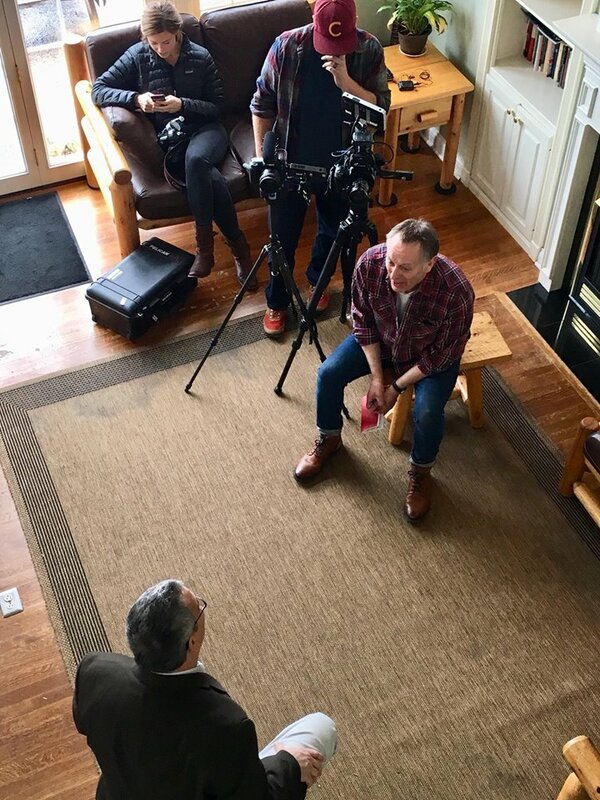 It is the sincere hope of Isaiah House and the production team however, that this film takes off, grabs hold and brings back what we all believe to be one of the most effective physical detox tools in modern history. CONGRATULATIONS to our “March Five Star Employee of the Month”, Wendy Hackworth! Wendy is a Case Management File Clerk. She receives documents from various departments in order to create an organized file for each client at Isaiah House and Patricia’s Place. She files all papers for each Department and she also works a couple days a week in the Utilization Review Office. Wendy has been chosen by her co-workers. She received a special keepsake gift, front door parking in the designated Employee of the Month parking space and will enjoy lunch with Isaiah House, Inc. President, Mike Cox. 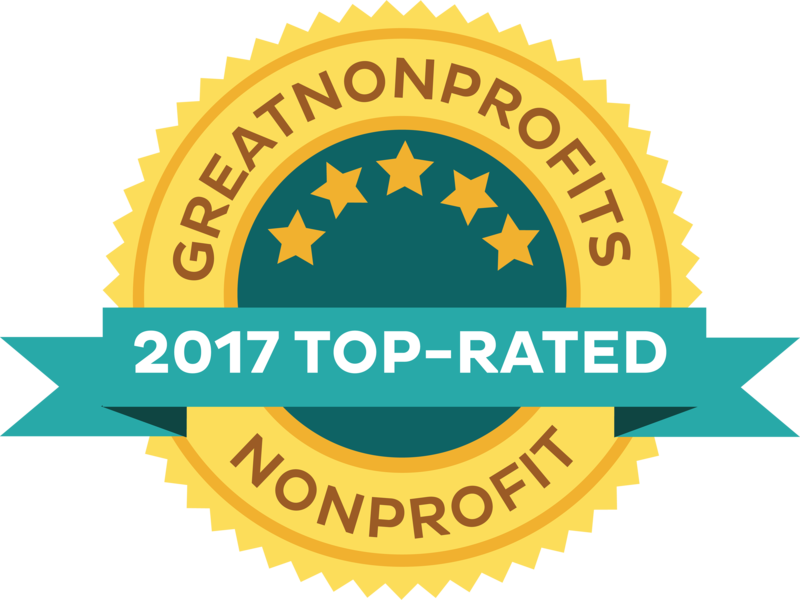 For the Isaiah House to continue offering the cutting edge services and programs in addiction treatment, we rely on our generous donors and sponsors for funding. We are so thankful for all of you who donate your time, money and goods to our facility every year and keep this place running like a well-oiled machine. Last year our most successful fundraiser was the Drive for Recovery Golf Scramble. Thanks to all of you who participated, The Isaiah House raised almost $9,000 to fund substance abuse treatment. This year, we want to do even more, and with your help we can! You may be thinking, “I’d LOVE to help, but how?” I’m so glad you asked. The Isaiah House Public Relations team is looking for volunteers who would be willing to help us find sponsors for the Drive for Recovery. We have everything you need to be successful: event fliers to post in your hometown, sponsorship packets explaining exactly what our partners’ get for their money and sign-up sheets so that you can help all those golfers in your life register to play. Do you want to help but feel like you’d have trouble explaining the Isaiah House program? Never fear, our cover letter explains exactly what the Isaiah House and, by proxy, our sponsors are doing to battle this ongoing opioid epidemic. With your help we can bring in more sponsors, golfers and awareness than ever before to make the 2018 Drive for Recovery a roaring success. This year’s scramble will be at Boone’s Trace National Golf Club in Richmond, KY on June 23rd. Registration will begin at 9:00 with a shotgun start at 11:00. There will be prizes on every hole ranging from brand new golf clubs to putters to watches. Last year, many golfers told us that the prizes offered at The Drive for Recovery were the best they’d ever seen at a Scramble. We plan on meeting and exceeding those expectations in 2018. 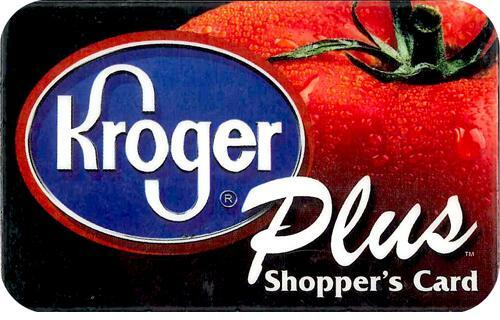 Tell your friends, tell your neighbors, tell your local businesses: if they’re looking for a way to have fun, gain exposure and make a real difference in Kentucky, this is the place to be. Finally, we are so thankful to Boone’s Trace for not only hosting event, but becoming our first sponsor by donating a portion of the event rental fee to IH. This course is absolutely beautiful and we know that it will make for a memorable day. 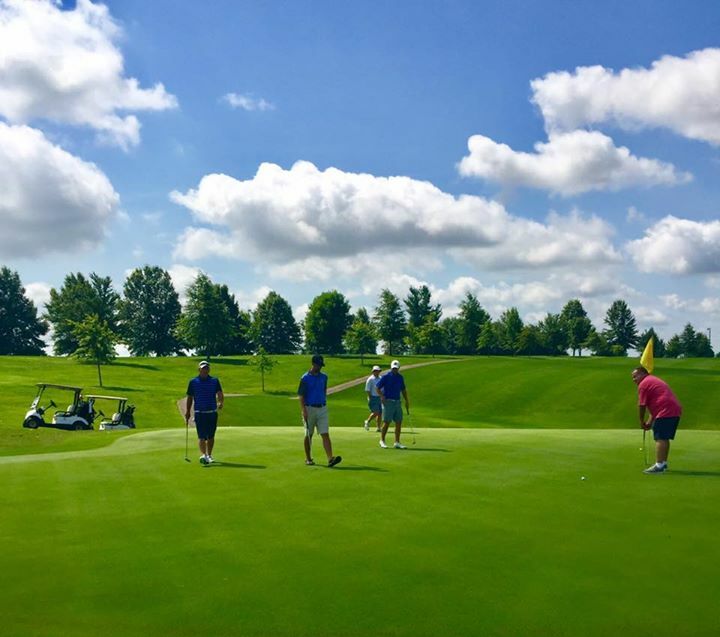 If you are interested in sponsoring, volunteering or playing in this year’s Golf Scramble, please contact David Cobb at David.Cobb@Isaiah-House.org or on his personal cell, (859) 516-3632. Thanks to all of you for everything you do to support the Isaiah House and our clients. We look forward to partnering with you on this event! Hi my name is Jason Walters. I am 37 years old. I was born and raised in Corbin, Kentucky. I had a slightly dysfunctional, but great childhood. My father was an alcoholic, but very loving. My mother did her part and some of his to make our household as close to normal as possible. I went to Whitley County schools and I loved to play football. While in middle school, I started hanging out with older crowds and experimenting with marijuana and alcohol. By my freshman year I had abandoned the thought of playing football altogether! I started experimenting with mostly pain pills. I went through High School maintaining my grades to keep my mother satisfied and I kept it in the dark about how crazy my life really had become. My senior year I tore a ligament in my knee. I had my first knee surgery in March of the following year and had prescriptions for two different pain meds. After healing and not to mention, worsening my addiction, I was on a downward spiral. At the end of that year I was in a car accident and had tore the same ligament again! As you can imagine, my addiction intensified even further with more surgery and more pain meds prescribed. By this time I was doing everything in my power to keep my family from knowing how bad my addiction had really become. So 1 week before my 21st Birthday, I got a phone call from my niece, sobbing and asking to talk to my mom! Whatever it was she wouIdnt tell me. Later I found out that my dad had shot and killed himself. On my 21st birthday I had buried my dad 3 days prior and really had no answers to why? The more I used, the less it hurt. About 6 1/2 years rolled by and my only concerns were a pain pill and making my mom think otherwise! Then my mother fell ill. After trying dialysis, my family and I took her home to let her live out the rest of her days on this earth- the way she wanted. The morning of August 3rd I awoke to the words, “Mom is gone”! Any reason on this earth, other than my 11 month old son, that I had to straighten my life up was now gone! I was completely lost. By the grace of God a woman came into my life that is now my wife. She stuck by my side, even though she knew what I was doing. It was obvious she saw something in me that I didn’t at the time. Although I was going to a pain clinic to support my habit, she always told me that she would be right beside me when I was ready to get clean. On April 1st (2014) I got a trafficking charge and was sentenced to 9 years, probated for 5 years. Meaning, if I messed up within 5 years I would have to do 9 years in prison. That wasn’t even enough to make me straighten up! I some how manipulated my way through 13 months of reporting monthly before finally being thrown into jail. I spent 6 months in jail and the Probation office gave me the option to go to a 6 month rehabilitation center. While waiting on a bed, a woman from the Public Defenders office had found me a bed at Isaiah House. I accepted with a little hesitation, after all their program was 8 months. So I showed up at the front door of this place (Isaiah House) expecting the worse. I wasn’t here more than a couple hours and I shook the hand of every man in this house! People went out of their way to make me feel comfortable and I am grateful to those men for making me feel welcome. This place has changed my life in so many ways. 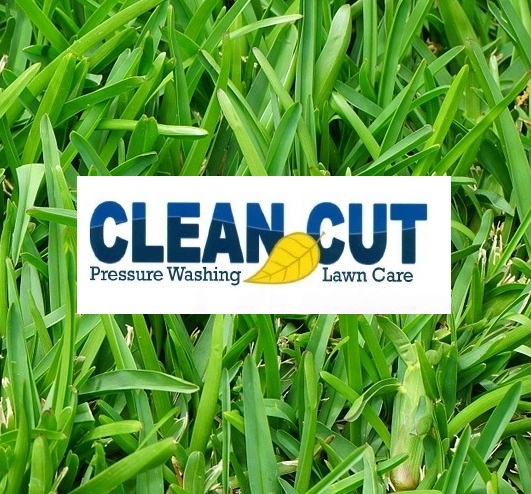 They do more than give you clean time away from drugs and alcohol! They slowly walk you into living a life without drugs. They teach you how to live again and how to stay sober one day at a time. The house band Rise Up paid in full for me to have dentures with money that they had worked hard to raise! Never in my life have I ever been in a place where so many people are finding their way and still willing to help out in any way they can! I am so very grateful for the Isaiah House. My life will never be the same! My family now has a man that they deserve! 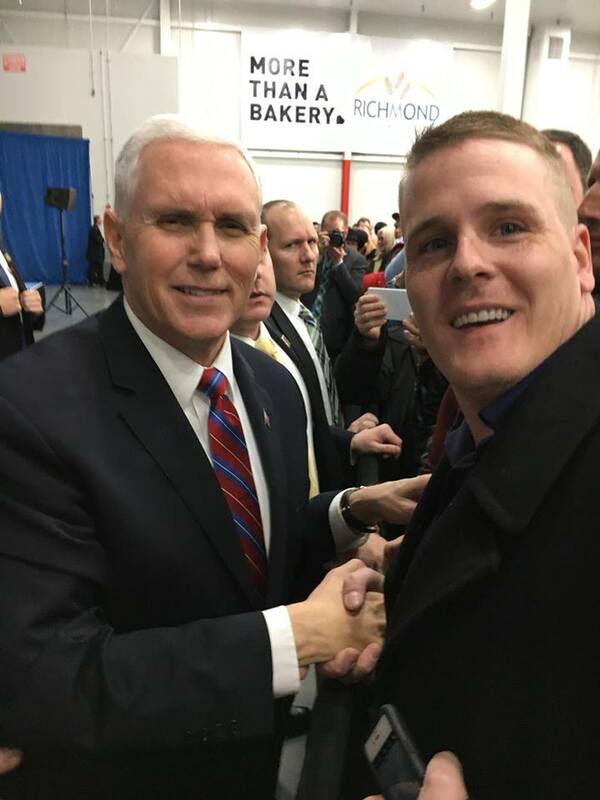 Vice President Mike Pence came to speak in Versailles, Kentucky at More Than A Bakery on March 7th. 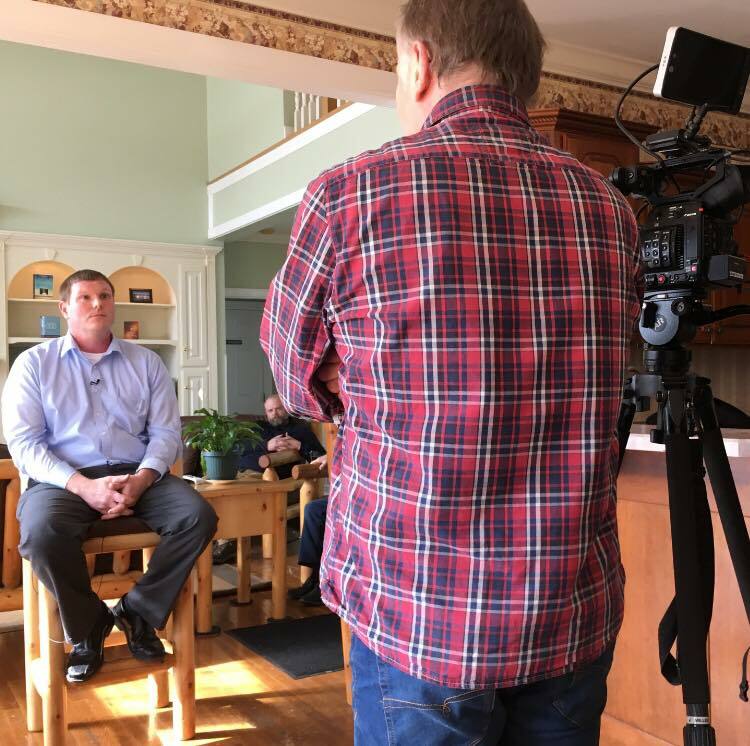 Our Public Relations team members, Jeff Goins and Jordan Wilson went to hear him speak with a hope that they could speak to him and tell him about Isaiah House Treatment Center. 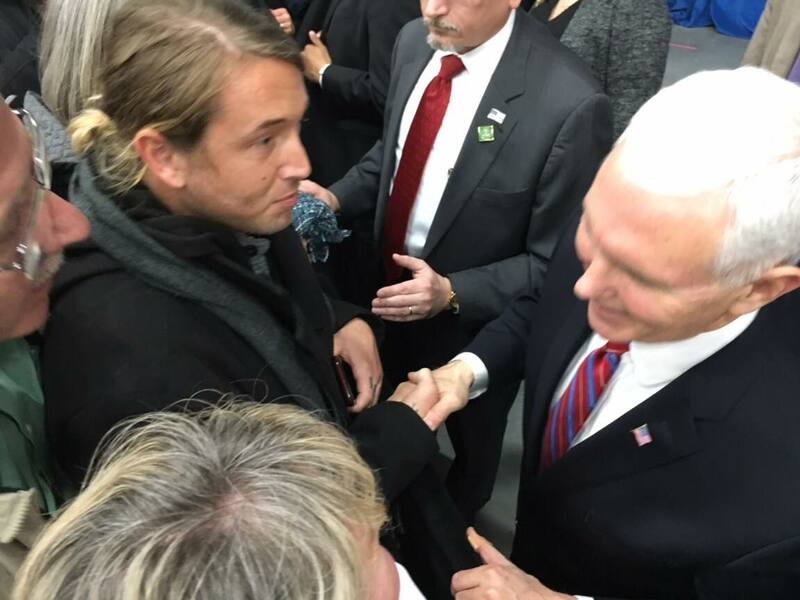 At the end, Jeff and Jordan bowed their heads and prayed that they would be able to get close to the Vice President. God answered. They were able to make their way to him, shake his hand and say a few words to him about Isaiah House. What a memorable experience for two young men who two years ago were in the depths of addiction. They had no hope. Jeff was sleeping in a graveyard hungry and cold. Jordan was in and out of treatment centers with no real hope of being clean. Today these two young men, after graduating from the Isaiah House Treatment Center’s long term program, have a place to live, can pay their bills, have their own vehicles, have jobs, and have an intense love for the Lord that shines in their faces. On top of all that, on March 7th, they shook the hand of the Vice President of the United States. We are on the front lines fighting for men’s lives like Jeff and Jordan. Join us in prayer for the Isaiah House Treatment Center, Isaiah House staff, the men in our care and for the men and women who are out there in active addiction. Your support is greatly appreciated. Isaiah House Program Graduation– April 7th at 11:00 am, Jake Kuertz Center, Chaplin KY.